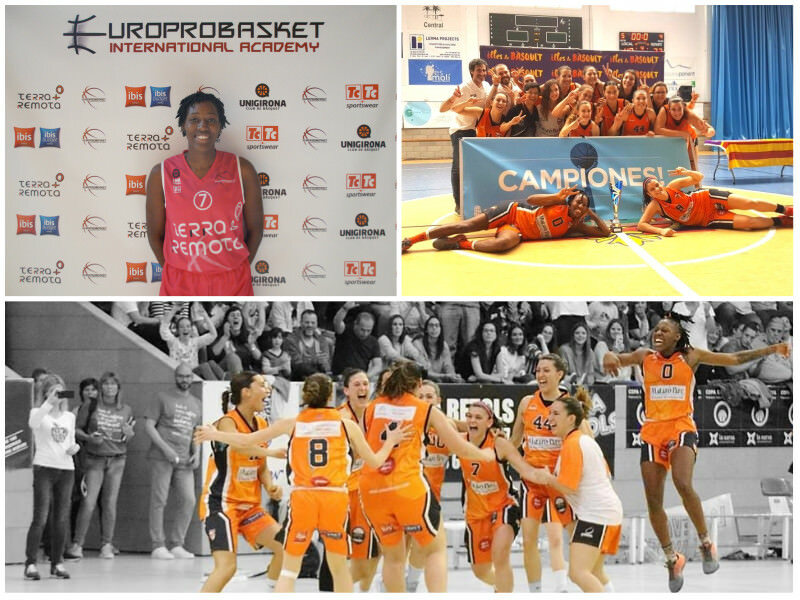 Europrobasket Player Judy Jones wins Championship, team moves up to Liga Feminina 2! Europrobasket player Judy Jones lead her team BOET Mataro to a Championship victory over Basket Almeda adding an impressive 21 points, 19 rebounds and 3 assists! Judy signed with her team last season following her Europrobasket Female Program in September of 2016. During her time with Europrobasket she received a one week tryout with Unigirona, one of the top teams in Europe for female basketball. She lead her team to a championship last season, moving her team up a division and earning MVP of the League. This season she resigned and again lead her team to a championship moving her team up another league to the Liga Feminina 2. One of the highest divisions in Female European Basketball. Judy earned an MVP award for her league’s all star game as well as lead the league in Points, Rebounds, 3 points made, 3 point percentage and Player Efficiency. Congratulations to Judy Jones and her team for this huge accomplishment! « Europrobasket Player Zinzan Whitelaw on Tryout in Ireland! Europrobasket Player Taneka Rubin on Tryout with Portuguese Team in Top Division! Europrobasket Player Allison Zain on Tryout in Croatian Top Division! Europrobasket player Shaun Aranjo on tryout in Catalunya!